Recently we spent a weekend visiting Copenhagen, the lovely Danish capital. 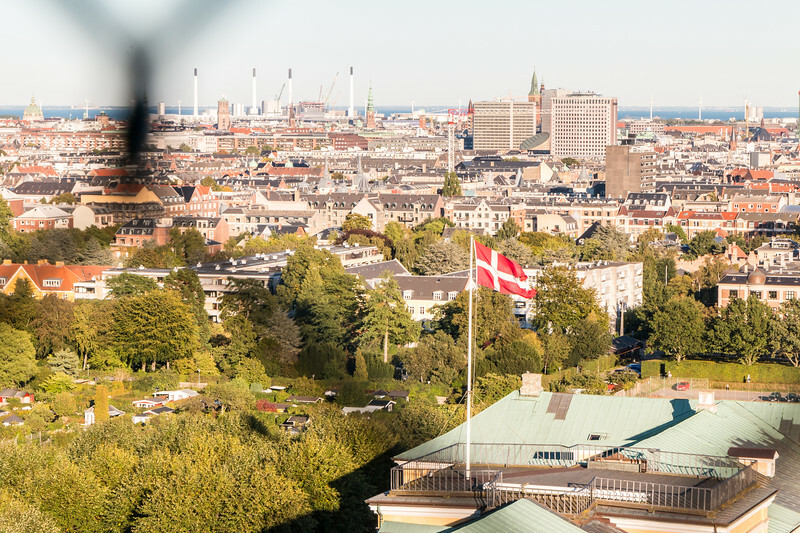 A great thing we did, besides the national sport of dodging cyclists, was looking for the best views in Copenhagen. And with success! Although walking and cycling are the most popular ways to explore the city, seeing it from a different angle is always a good idea, particularly when the architecture and colorful buildings combine with the perfect Autumn light. 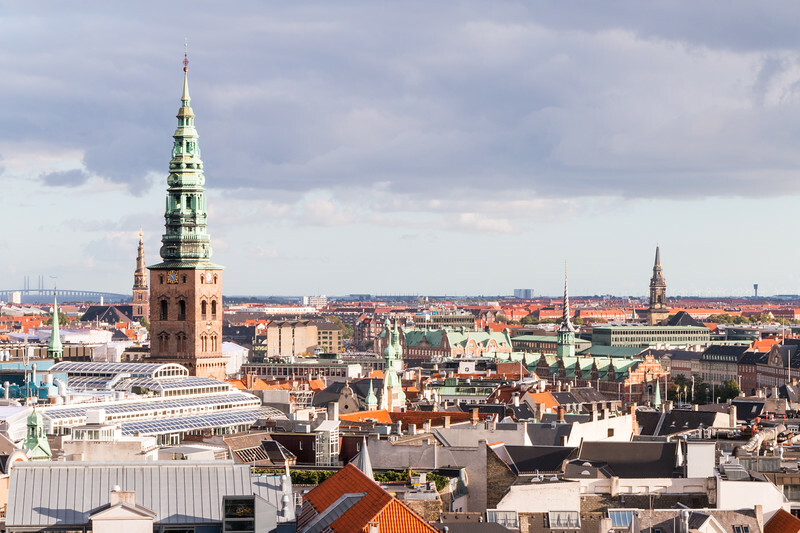 Let’s see our favorite spots for the best views in Copenhagen! 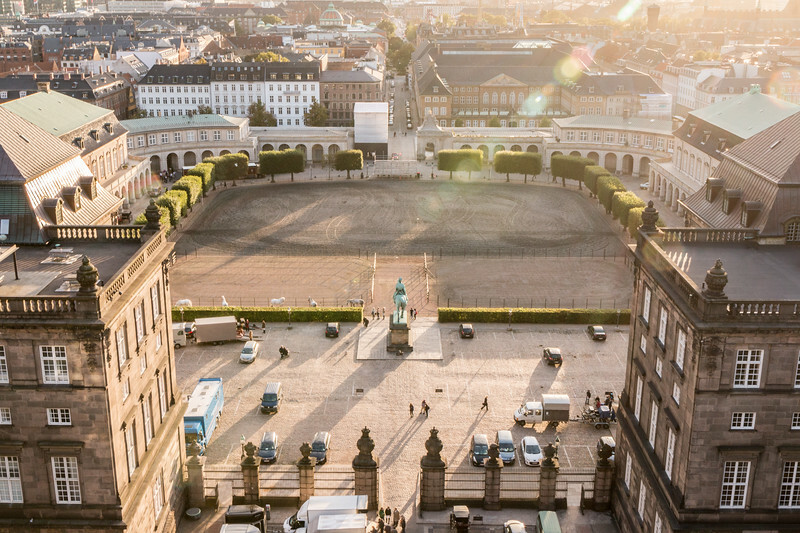 The Palace of Christiansborg is located in Slotsholmen, central Copenhagen. It is not used as the home of the Danish royal family anymore but instead as a government building. It houses, for example, the Parliament. 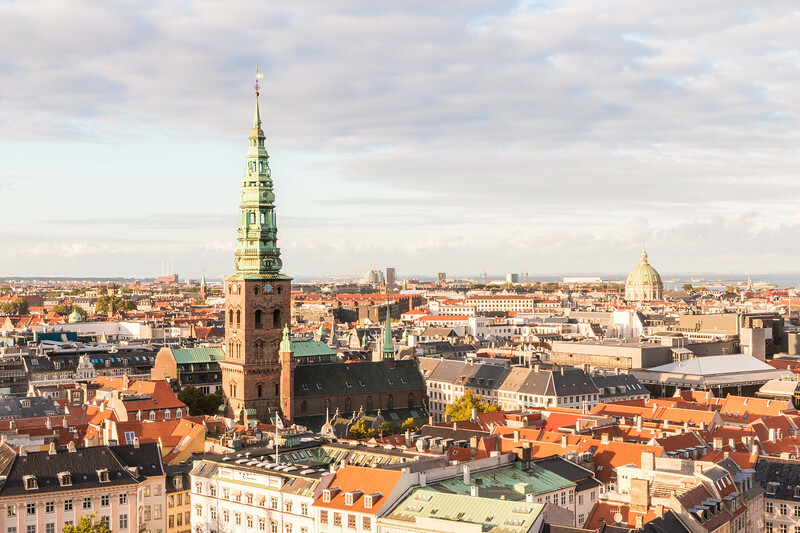 The tower of Christiansborg Palace is the highest in Copenhagen at 106 m and offers some of the finest and best views in Copenhagen. 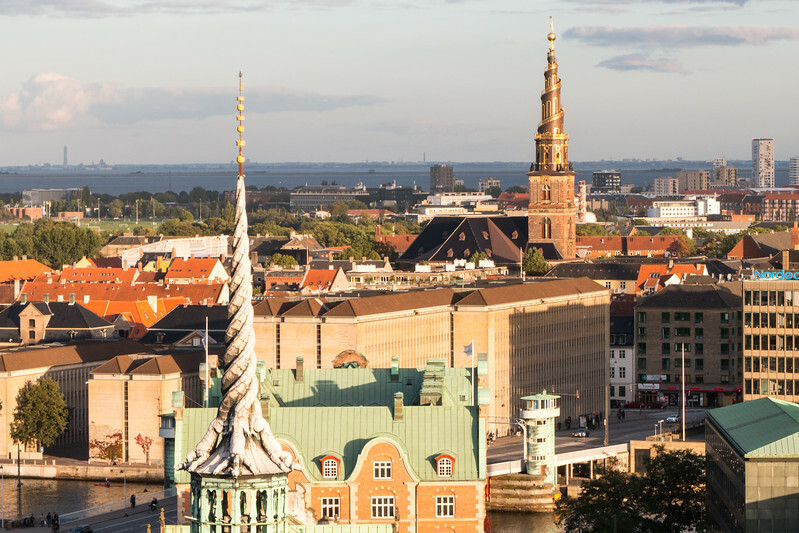 The central location allows you to spot most of Copenhagen’s iconic buildings. The best thing about the tower is that it only opened recently to the public (in 2014) and access is completely free of charge! There is also a restaurant. A sunset visit is highly recommended! The Round Tower is the oldest one we visited. 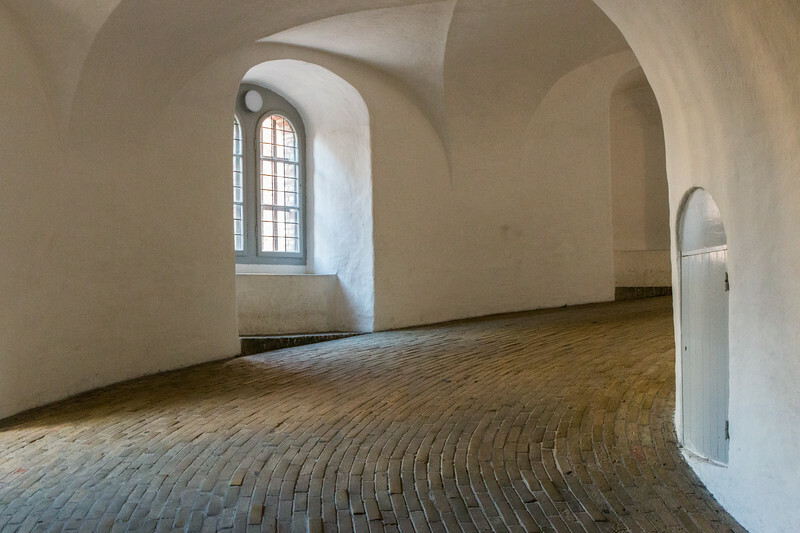 It’s located in the old part of Copenhagen and was built in the 17th century as an astronomical observatory! An amazing feature of the Round Tower is the ramp that leads to the top. The tower is only 36 m tall, but it can take around 200 m to reach the top using the ramp. 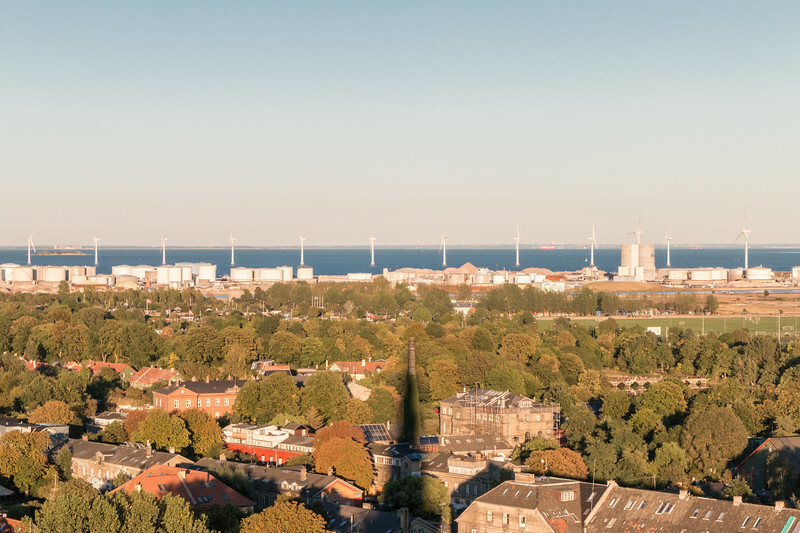 From there, you can see the old part of town, making this one of the best views in Copenhagen. The round tower is also the oldest functioning observatory in Europe! The Church of our Saviour is famous for its spire and the outside winding staircase to the top. In total, 400 steps are necessary to reach the top, including 150 on the outer part of the spire. 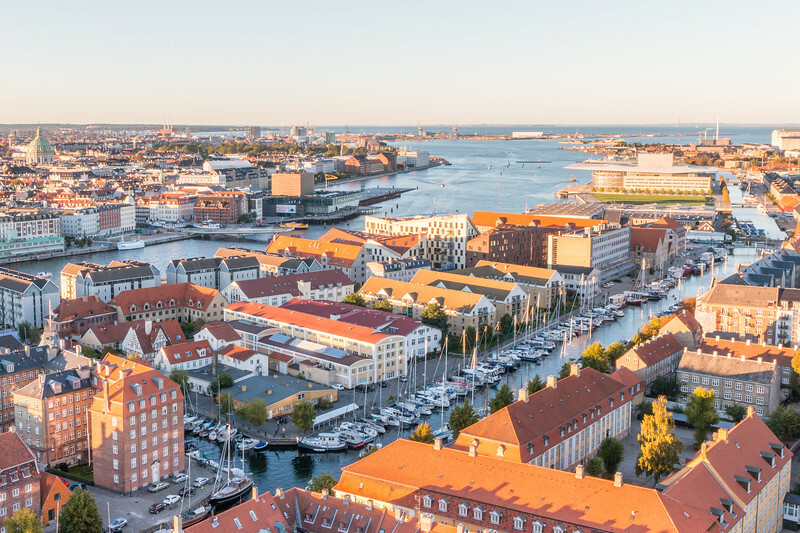 It is located in Christianshavn, within easy walking distance from central Copenhagen and right next door to Christiania. The views are superb, but those afraid of heights need to know that it’s quite scary up there! It gets narrow closer to the top and without much moving space. Don’t panic! 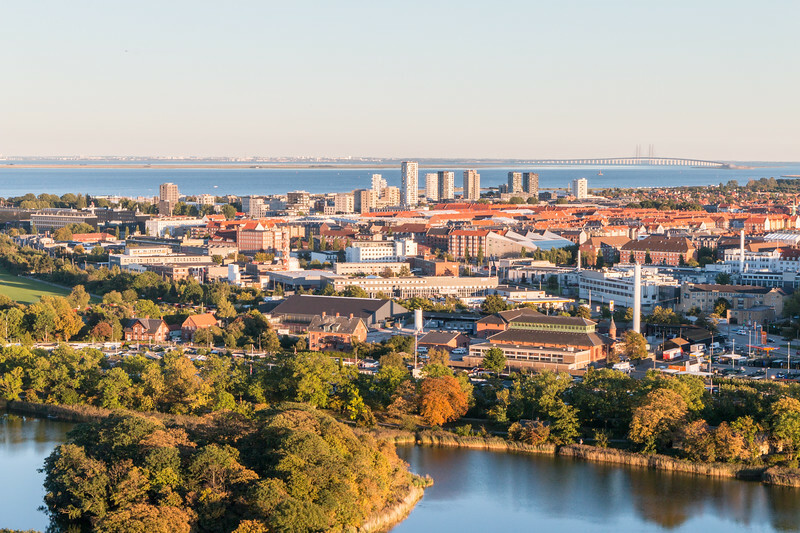 One thing is for sure, it’s well worth the effort since the views are some of the best in Copenhagen and you can get privileged views to the center and even see Sweden! The Copenhagen Zoo is located slightly outside the city center. When we have the opportunity to visit a Zoo, we usually take it. This time was no exception. Long story short, Copenhagen Zoo is a high-quality Zoo that we recommend visiting. Back to the topic. 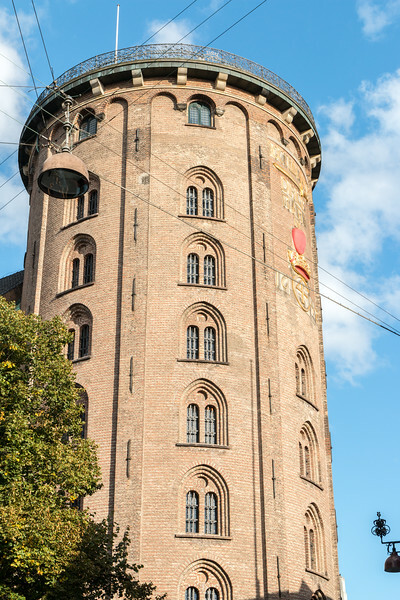 One of the main features of the Copenhagen Zoo is actually its tower. 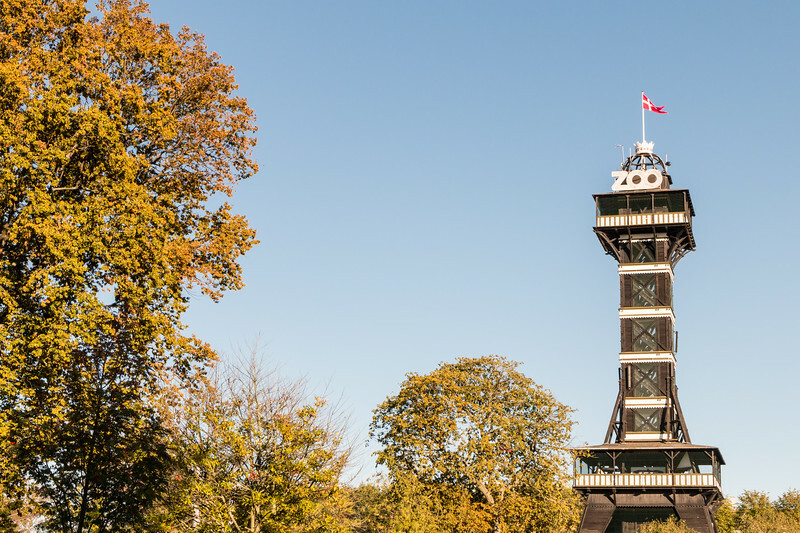 Built in 1905, this beautiful 43 m wooden observation tower offers a birds-eye view of the Zoo and surroundings all the way back to the city center. Apparently, it’s one of the tallest wooden towers in the world! The tower is easy to spot from anywhere in the Zoo and can be accessed next to the main entrance. 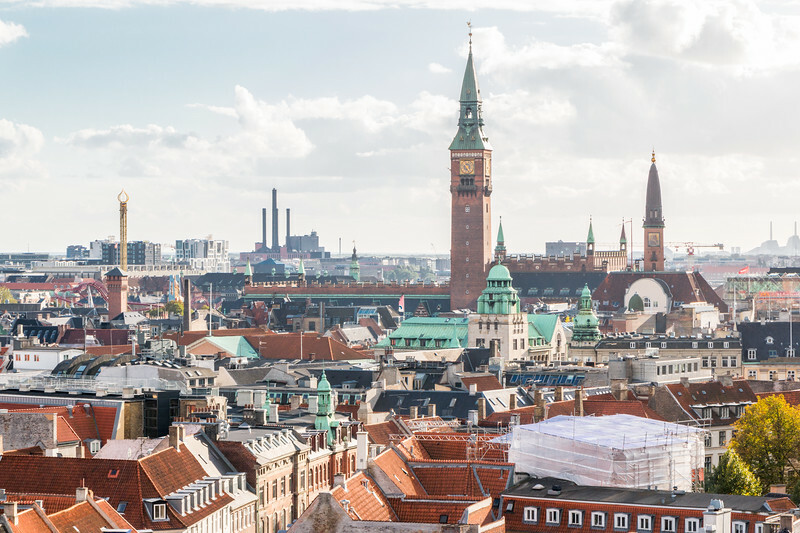 For this trip, we used the Copenhagen Card which gives free access to dozens of places and transport, including these four attractions for the best views in Copenhagen. Worth considering, if you plan to visit a few things in the city. For us, it really paid off! 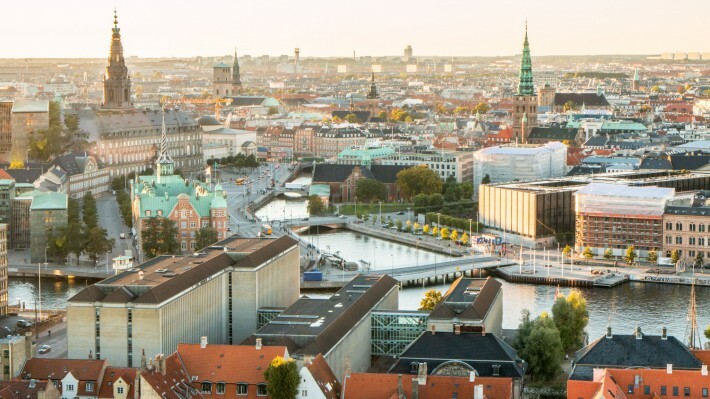 What do you think about the best views in Copenhagen? Copenhagen is a lovely city! And, I’m really glad you showed Rundetårn (The Round Tower), it’s a beautiful building with an amazing view; and the interior is really great! Indeed! We quite liked visiting Copenhagen. The best bit about the Round Tower is the ramp, which provides a uniqueness to the building! Copenhagen really does look so beautiful! I love the look of the Round Tower in particular with the cobbled floor and curved walls, the views from the top look pretty spectacular too. Hopefully we’ll get to visit one day! You are right, it does just all look so beautiful, neat and tidy. I’d love to visit – and actually it’s not far from London! Scandinavian cities tend to be like this! We’re based in London as well and it’s an easy flight away. Plenty of options, including cheap ones with EasyJet. You have such a clean and honest approach to your blog work. I really enjoy it. Copenhagen looks like such a pretty city. The view from the church spire are really spectacular. I didn’t realize how many canals and waterways the city had and the birds-eye views really capture this important and interesting aspect of the city. The view was spectacular, but I must confess I was bit scared once at the top of the tower! Wow those place has got amazing views. .. I love climbing the highest buildings on certain place to get the best views. 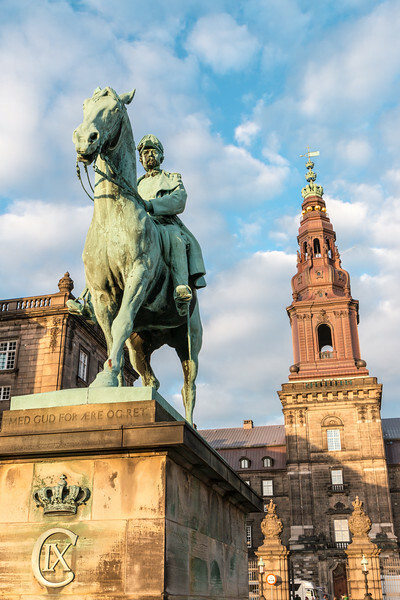 Great Post and photos of Copenhagen. The ones views I like most are the Zoo Towers and the view with Sweden on the horizon! Nice post. I am currently working on a Copenhagen post as well. I didn’t see that round Tower when I was there. Interesting though. You’ve got amazing aerial photos of all the landmarks. Well done. Copenhagen has some very nice things to see. Nice to hear that you’re writing about it, we shall look into it when it’s out! 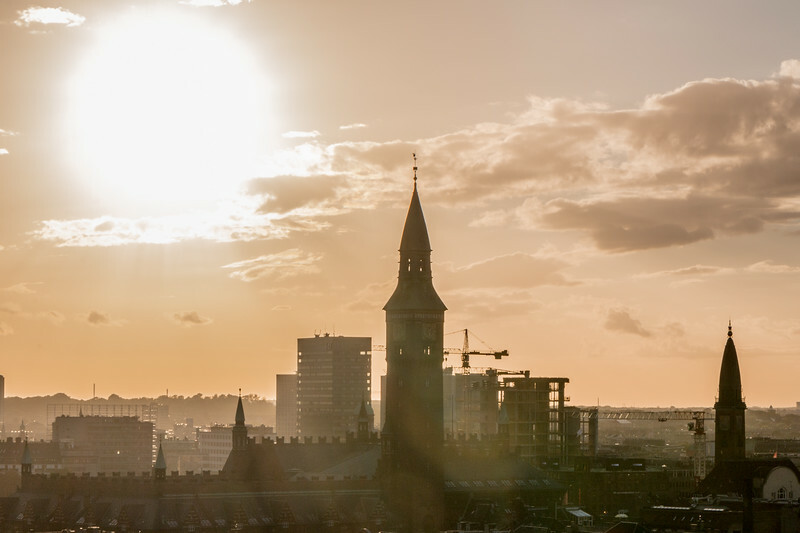 I visited Copenhagen recently and love the views from the Church of our Savior. Love Copenhagen so much! Will check out the Round Tower on our next visit. That looks fantastic and very interesting! That’s the great thing about the few places in Scandinavia we’ve visited. 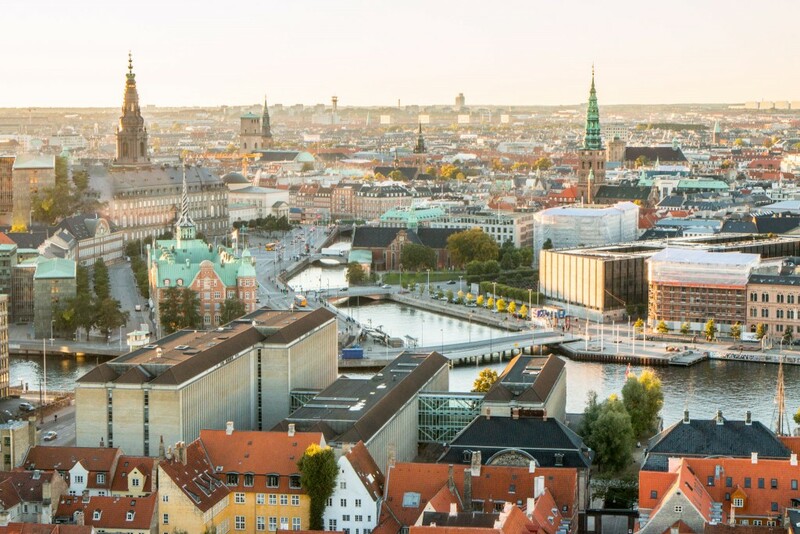 Copenhagen is a great place to visit and the mix between old and new is great! The Round Tower definitely is a crowd’s favourite here! My favorite has to be the round tower! I loved visiting Copenhagen, one of my favorite places to visit! Am really impressed with your photos. Initially thought they must have been copied in, until I started reading the text. Glad you had the weather for it. Being from DK, I myself didn’t know about the tower at Christiansborg being accessible (and free!). Will make a point of going myself when next back in CPH. All the photos are very much ours! Yes, we were lucky with the weather. It was slightly cold but always sunny. Copenhagen looks stunning! You all did a great job capturing these views. Great! Have a nice trip and I’m sure you’ll enjoy Copenhagen. I am visiting Copenhagen this week, thank you for recommendations!